Ok, i think i may have a problem. 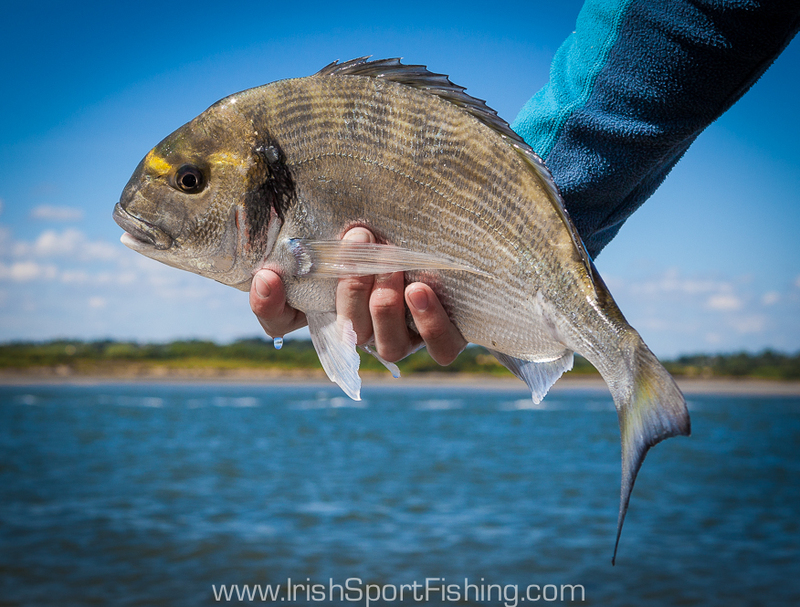 With the dry summers we’ve had i’ve found myself fishing for bream a lot, and i mean a lot! 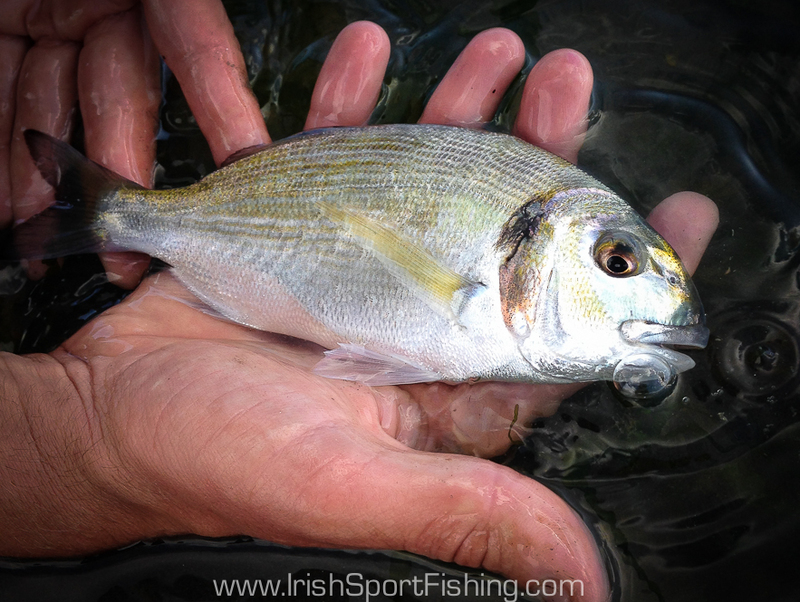 My game fishing has been kept to a minimum as there’s been no water in the rivers, and this along with the fact that the average size of the bream caught appears to be increasing each year and the chance of catching a really big fish is quite good, has seen me spend many sessions searching for them. The novelty of catching them has definitely not worn off! 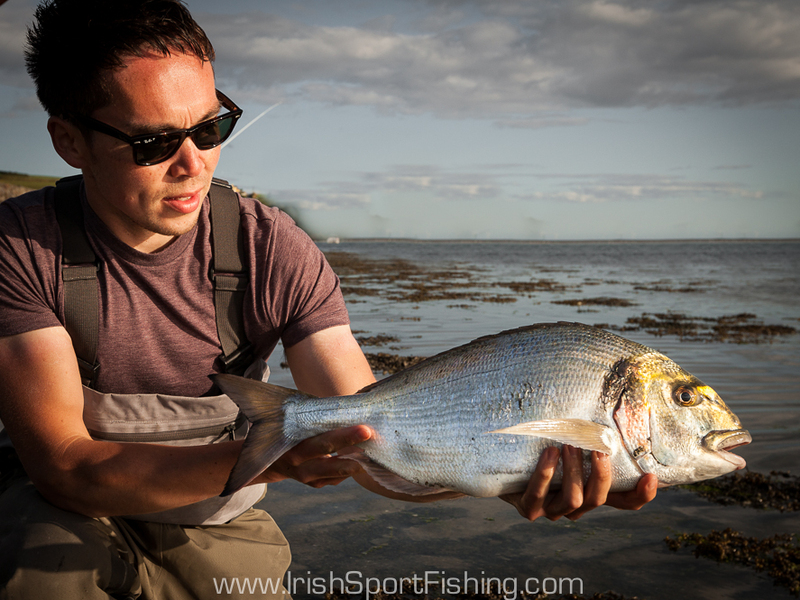 So the bream seem to be getting bigger. While this is great news for anglers i’ve been wondering why there are very few juvenile fish caught. The presence of juvenile fish is generally a good sign of a healthy fishery, so its been really good to catch some of these small fish in decent numbers recently. Hopefully this means they are breeding in our waters. After all the hours spent looking for them i’ve learnt a lot. 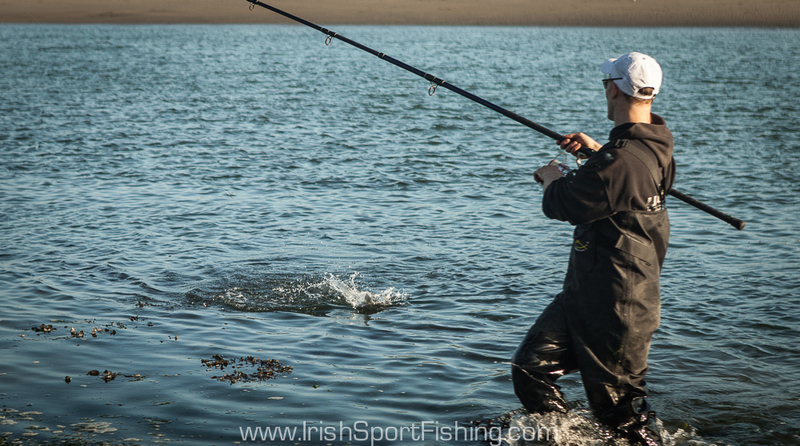 While there are noted areas where they are caught fairly regularly, these areas are also the most heavily fished. 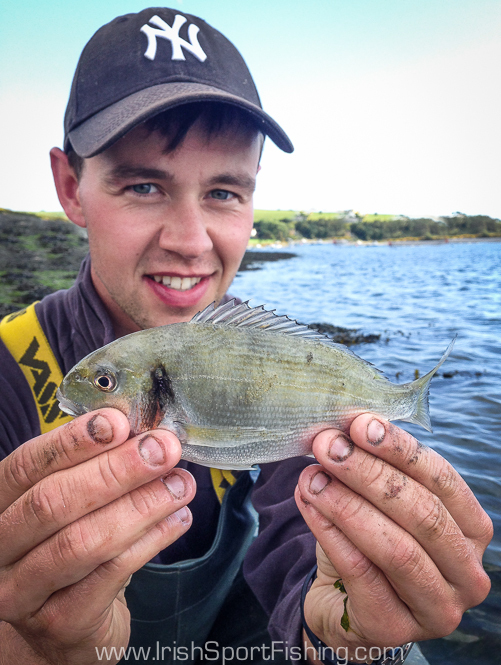 These fish are caught all along the south coast at certain times, and you could pull one out of any estuary or beach with features on the right day. 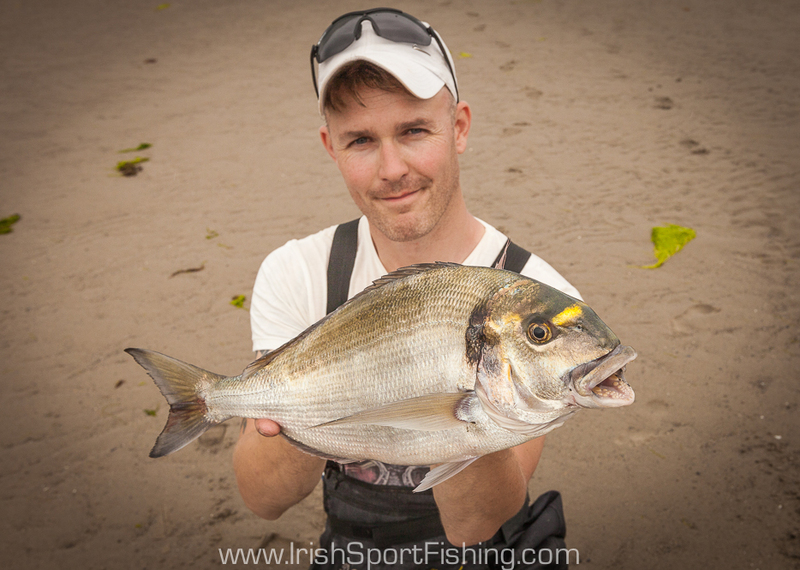 The Irish record was caught last year on the Dingle peninsula which is further north than they are generally caught, and i also heard of a good fish taken on a north Wexford beach this summer. After many exploratory sessions (and blanks!) i managed to get a few good fish, the best going 5lb 3oz (52cm). I was lucky to land this one as after giving me a good bite it was snagged solid. I was expecting the line to part any second but lucky for me it came free after some constant pressure (and swearing!). I’ve heard of fish over 6lb caught recently, and i think there is a good chance the record will go again soon enough. 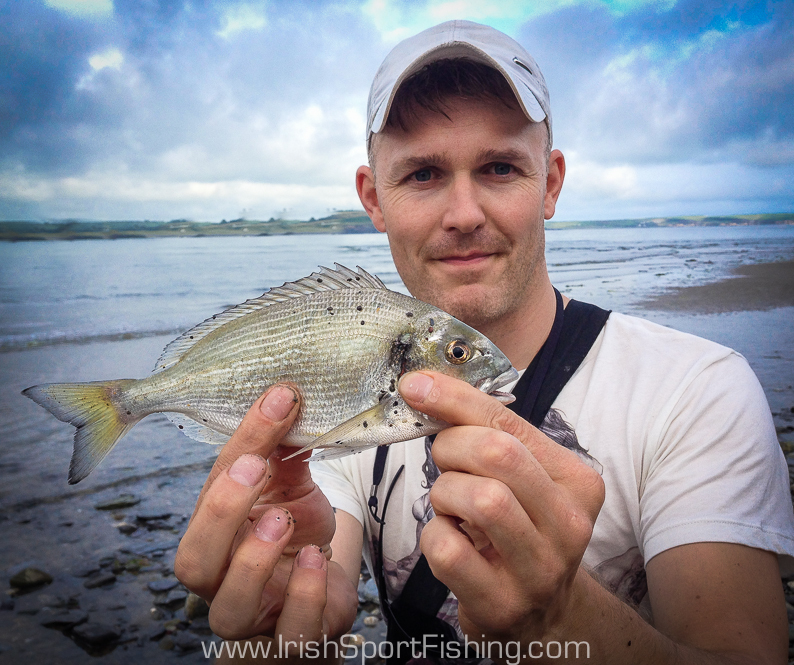 This entry was posted on August 5, 2014 by steve and tagged angling ireland, angling ireland update, bream fishing, Fishing in Ireland, gilthead bream, Irish Sport Fishing, Sea Fishing Ireland, www.irishsportfishing.com.